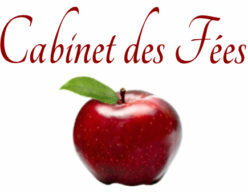 As we mentioned here, Cabinet des Fées was taken offline for maintenance during the weekend ending 10 February, 2013. This morning, we’re back with a fresh, new look and several long-overdue updates. We are also fundraising: find out how you can help CdF thrive here. We’d like to take this opportunity to welcome Michelle Anjirbag to our review staff. Her first review is of Marina Warner’s Stranger Magic: Charmed States and the Arabian Nights. Michelle is a recent graduate of the University of Connecticut, an avid reader and writer, and self-proclaimed literature nerd who thinks in recursive appositives. Her full bio can be found in our About page. 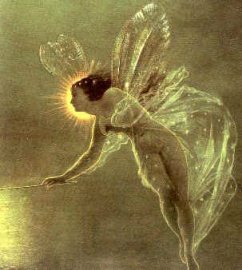 In addition, Belle DiMonté has reviewed The Fairy Bible: A Definitive Guide to the World of Fairies. In our Fairies and Fairy Tales department, Sterling Ulrich has written on the value of fantasy in The Old King and the Claws. Colleen Szabo offers a Jungian analysis of the Finnish folktale The Girl Who Sought Her Nine Brothers in Men of Mother’s and of Mine: Redeeming the Inner Masculine in a Finnish Folktale. And finally, Kevin Tseng shares a fairy tale of his own with Cabinet des Fées in Onyx and Opal Boil the Sea. We’d also like to bring your attention to two conferences of folk belief & the supernatural being held in Shetland in 2014. We hope you like our new site design and will stay with us as we prepare to announce the table of contents of Scheherezade’s Bequest, Issue 1, and bring you more from the wide world of fairy tales.